Taxi business owner Rod McLennan fears his firm could be hit by increased licence fee charges. Moray taxi drivers claim council plans to increase licence charges will put people off the profession. The local authority has tabled proposals which would mean charges for some licence applications rising by more than 100%. Cab operators say their industry is already “in crisis”, and fear additional pressures may cause some small firms to fold. Council licensing chiefs say increases are necessary across the board to offset the staffing cost of processing applications. Under a scheme agreed by councillors the price of a taxi driver licence would rise by 23%, from £243 to £300, and the cost of renewing the licence would rise by 37%, from £157.50 to £215. The price of a permit to become an operator would increase by 41%, from £160 to £225, and licences for operating a booking office would go up from £240 to £305. The heftiest increase would be applied to the cost of substituting the vehicle attached to a licence, which would go up by 117%, from £76 to £165. Each of the licences would have to be renewed after three years. 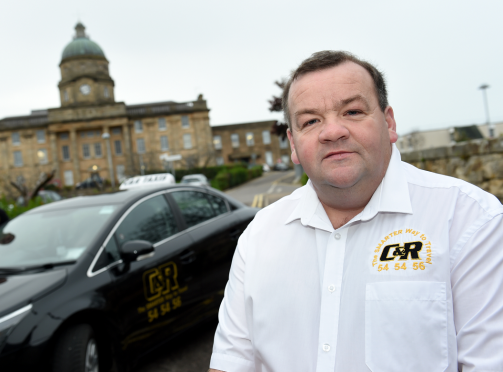 Last night, the boss of Elgin-based C&R Taxis, Rod McLennan, said the changes would have a knock-on impact on employment in Moray. Mr McLennan said: “There are a lot of people currently out of work who would like to become a driver, but who are being put off by these increased charges and will just remain on the dole instead. “The council consulted taxi drivers on this, and some forcefully objected. Mr McLennan added: “Every suggested increase will have a negative impact, whether that be in replacing cars or getting new drivers. “Increasing driver licences will prevent people who are unemployed from getting a job. The licensing board’s depute clerk, Sean Hoath, said the proposals had been drawn-up to cover the “administrative burden” of supplying licences.